DCC I Love to Create Beads in a Bottle Hop! This month's DCC Designer Crafts Connection Blog Hop is an exciting challenge and even more exciting for you, great designs and a fabulous give away! 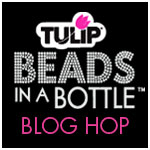 We got to design with I Love to Create (Tulip) BEADS IN A BOTTLE! To see all of the fabulous designs our very talented group has come up with just click on the DCC button in the sidebar! I had an outdated pair of white denim jeans so I cut them off and with some great retro inspired fabrics created a cute ruffled skirt. I accented the top with the BEADS IN A BOTTLE. 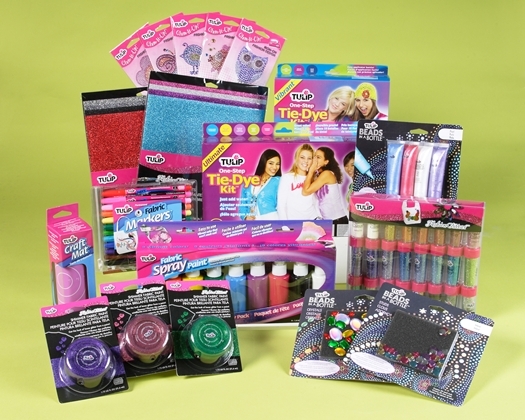 The product is so easy to use and with a tiny squeeze you can create beautiful gemstone beads! Great project! I love that you recycled clothing! so cute Debra! See you soon and we can catch up! That's an awesome skirt, perfect for summer fun! Love the BIAB accents, they add so much dimension! Wow, Debra, this skirt is absolutely wonderful - I love it! That is so cute! I would wear it in a heart beat! I just love this! Love the fabrics and how the embellished, painted flowers tie it all together. I cannot wait to see it "in person." Beautiful skirt. I love all the details and colors. Debra, I just love what you did here!